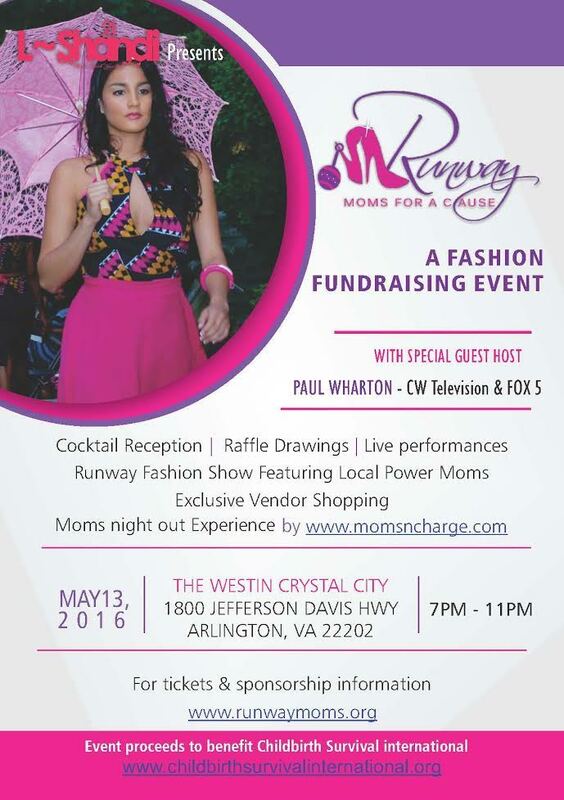 4th Annual Runway Moms for a Cause, the best and most awesomely fun fashion gala in DC is this Friday! This fashion fundraising event features 24 philanthropic Power Moms to promote the year’s cause and grace the runway, adorned in one of- a- kind pieces by L~Shandi Designs designer and Runway Moms for a Cause (RMFC) event founder Lara Akinsanya. Labeled a fashion statement for Global Goodwill, RMFC is a runway show for philanthropists to take a stance on issues that affect women and children in America and abroad while lending a helping hand towards a solution. Every year over 200 guests, representative of DC’s business leaders, dignitaries, influencers and more, gather at this event to support, advocate for, and raise funds for a local nonprofit. The 2016 participating nonprofit is Childbirth Survival International (CSI). CSI is a Maryland-based non-profit humanitarian organization that works to improve and strengthen quality, access, and delivery of health services and information for pregnant women, newborns, children, and adolescents/youth in marginalized communities. 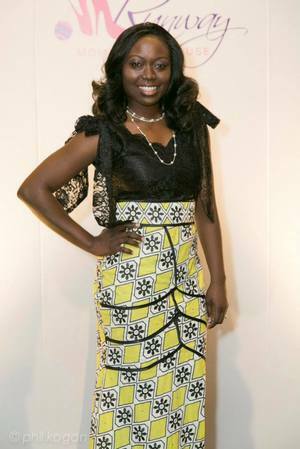 Akinsanya is the founder of RMFC and the face behind internationally acclaimed ready-to-wear clothing brand L~Shandi Designs. Her designs are STUNNING, detailed and highlight a woman’s body like nothing I have ever worn. Since Lara’s grand entrance to the global fashion scene, she has been heralded by the media and is an active member of the Greater Washington Fashion Chamber of Commerce. She has participated on panel discussions related to economic development through fashion programs in the greater Washington DC area. And she is a mother of twin kindergarteners! The evening will begin with a cocktail reception with a live band. In addition to the runway show, there will also be raffle drawings and special performances throughout the evening. 50 percent of your event ticket is tax deductible. 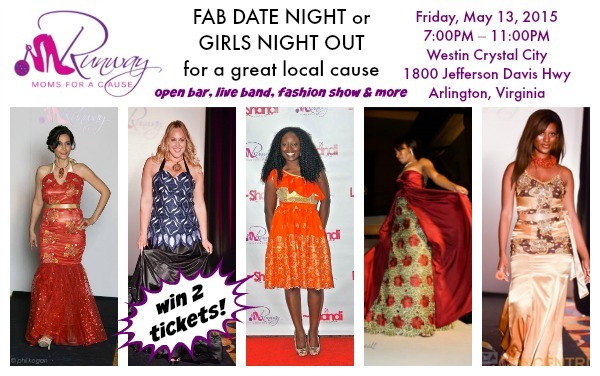 Runway Moms for a Cause is a great supporter of A Parent in Silver Spring and has offered readers a pair of tickets for giveaway to one lucky winner! Please enter below. The winner will be drawn this Tuesday (in just two days!) so you have time to plan your outfit and book a babysitter. To enter this giveaway, fill out the form below. I’d like to attend Runway Moms for a Cause because it’s looks like it will be FUN and I support their cause! Thanks for awesome content and phenomenal giveaways!